Kearney State College, Married Janet Henderson, Worked for Good Sam Hospital for four years, Worked for Baldwin Filters for eight years in Kearney then 22 years in Virgina. Divorced 1998. Moved to Fort Collins, Colorado in 2007, Johnstown in 2008, Started vending machine business. Moved to Firestone in 2011. Retired in 2011. Wrote David's Gifts in 2014. After graduation Tom Tingle, Roger Comstock and myself headed to Atkinson to see Tom's Atkinson friends graduate. We drank beer, played golf and met a lot of tom's old friends. We had a great time. Right now I want to talk about the day Tom Heller and I played hooky and went to Holdridge to see his old school friends. We had a great day. Wish I'd gotten to know him better. Now he's gone. We went to his old school and then drove by the High School. Saw some friends of his. Walked around the football field. Kearney drive inn on Fridays before a Saturday track meet or cross country race. Cherry vodka, puking, running a race the next morning and puking some more. Screwed up my pyloric valve and herniated my esophagus. Great times. It took three surgeries to straighten it out. I remember Harmon Park swimming pool and Cottonmill lake and of course the pits but I enjoyed cruising main and 25th on Friday night. I wonder if they still do that. We live in Happy Trails resort in winter. Roy Rogers theme with roads named for characters in Roy and Dale's life. Dale Evans Blvd, Roy Rogers Avenue, Nellie Bell rd. etc. We live on Mule Skinner. Four swimming pools, tennis courts, exercise room, library and lots of entertainment. have studied harder and gotten better grades especially in math. Harold Keller has a birthday today. New comment added. 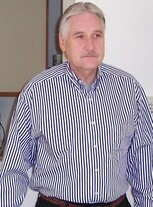 Harold Keller updated his profile. View. Barb Bellamy Woythaler posted a message on Harold Keller's Profile. Happy Happy Birthday Harold !!!! Rita Davis Tremblay posted a message on Harold Keller's Profile. New comment added. Hoping you have a wonderful birthday. Happy Happy Birthday Harold ! Harold Keller posted a message. Happy Birthday Cindy. We are south of Apache Junction on Ironwood. Harold Keller added a comment on his Profile. Harold Keller posted a message. New comment added. Great seeing you and Delores last month. Hope you enjoyed your stay in Arizona. Monty's neighbor is a writer. Do you remember his name? Or, the name of the book? What's Dee's new name? Harold Keller has a birthday today. Happy Birthday Karen. Hope you have a great day. Say hi to Perry for me. Harold Keller posted a message on Tay Tollefsen's Profile. Happy Birthday Tay. Early, I know but in transition and don't know when I can get computer time. Hope you have a great day. Chuck, Happy belated. Hope you had a great day. Thanks for your work on this site.